Since the earliest days of our company, I have opposed testing of cosmetics and personal care products on animals. But there’s good news! The world now knows it is no longer necessary to use animals to test beauty products to ensure safe human use. Much more accurate tests are available. More good news! Animal tests are no longer required by laws in most countries – in fact, in Europe, they are banned. Since March 2013, cosmetic companies can no longer sell their products in Europe if they have been tested on animals. This is a huge step forward. India recently banned animal tests for cosmetics and bills are being proposed in the U.S. Congress to stop them as well. Only China seems to be lagging behind in requiring animal tests – and there are a number of groups attempting to get those requirements changed. Why have these countries banned animal tests? Because the new tests are better! Nearly 50 non-animal tests have been developed and validated. The new tests are considered more efficient, accurate, and ethical — and at the same time, cheaper and more cost-effective. What are the alternatives to animal testing for cosmetics? New tests have been created for many possible problems including eye irritation, skin sensitization, and photo toxicity — that do not require animals. To test for skin irritation, for example, cosmetic surgeons and their patients are now donating skin removed during cosmetic surgery to be used for cosmetic tests. Using human skin to test human reactivity has proved to be far more effective than the horrific “Draize” test that used to be done on rabbits. This is progress! The Reduced Local Lymph Node Assay for skin allergy testing makes it possible to reduce animal use by up to 75 percent compared with traditional guinea pig and mouse tests. For a complete list of alternative tests that do not use animals, go to Alttox.org, which is partnering with the internationally respected Humane Society. The other afternoon, I met with Teviot and Nicole — two lovely and intelligent writer ladies — to brainstorm copy for new boxes of Paul Penders products. The setting was inspiring — we sat together in a vegetarian restaurant at the gorgeous Straits Quay mall overlooking a marina filled with dreamy yachts. A good place to dream up ideas! That what was said on the poster on the wall above us. Those words seem so appropriate to the story we want to tell about Paul Penders products for the packaging. We want to share with the world just how special this company is. Our products are truly unique – herbs and other botanicals grown on small farms and estates all over the planet, with oils pressed from fresh flowers and leaves. All Paul Penders products are mixed up in small batches supervised by our scientist and cosmetics expert, Senior Cosmetic Scientist, Dr. Gatot. He ensures that our formulas are always the best that natural cosmetics can be, and are always free from any animal products or by-products. Also as part of the “PIF’s”, the newest strict European laws require additional safety information on all of the packaging as well. Therefore, soon new copy will appear on the boxes and labels. You can be assured that Paul Penders products are always updated with the necessary information as required by laws, in all the countries where our products are sold. 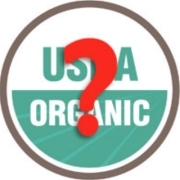 Organic Certification – We don’t need it! Is organic certification proof that a cosmetic company is “good” or “no good”? So many companies jump on the bandwagon of organic certification nowadays. Paul Penders, a pioneer in natural cruelty free cosmetics and a socially responsible company provides the highest quality natural herbal cosmetics using natural and organic ingredients – and has done so for over 45 years. Anyone can make a judgement by looking at our website as to what we are and what we represent. One point to make our case here could be considered: we have never wanted to become a “Big Business” over all these years. Yes, we have received several offers to sell our company (including from Revlon and few other large corporations). They offered large sums of money. So why didn’t we do it? Just think about your local bakery. Or the person who lives in your community and serves as the health care provider for your family. Think about ‘what if…?’ What if they were bought out by a conglomerate or a chain? Would your community really be better off if there was just one more of the same 5,000 bakeries or of the hundreds of clinics offering the same old things? Isn’t something lost when Big Business steps in? What about the personal touch? What about variety or specialized care tailored to the specific needs and interests of local consumers? What would become of our company if we stopped searching for our ingredients ourselves in Europe and other places in the world? Has anyone ever seen Mr. Pearlman, the CEO of Revlon, go out into the wilderness looking for pegaga? He probably perceives “Paul Penders” as just another BRAND – an object that needs to make money, period. Mr. Pearlman and other CEO’s of the large companies need certification to prove they are “good”. Sure, the Mr. Pearlmans of the world need Ecocert. And Ecocert needs them. Signing up all these big companies has made Ecocert very rich. So what does it mean when Mr. Pearlman demands that Ecocert must certify our products? Yes, if we pay money and a commission, we could put the logo of Ecocert on our products. And that would make our products better, right? Certainly not from Ecocert and these other so-called organic certification bodies. We believe that consumers do not need to pay more just because of an approval by an outside business organization. Consider that many trusted quality brands produce wonderful natural organic cosmetics without certification as well. We do have two certifications that we are very proud of. These are what I call EMOTIONAL CERTIFICATIONS. 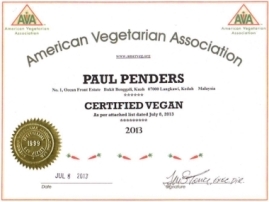 Recently, we were globally certified by the AVA (American Vegetarian Association) for use by both vegetarians and vegans — something only a very few companies get. For certification, AVA looks behind the products and considers the ethical values of a company. They are less interested in the new kids on the market, but look to the ones having established a long-time consistent commitment — to the environment, to charity, and of course, to the use of natural ingredients that are not derived from animal sources in the first place. 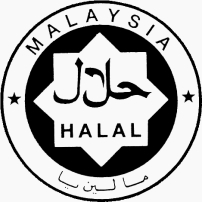 We also are certified halal by the government of Malaysia; the strictest halal certification one can get. No animal ingredients nor slaughterhouse products are used in our products – guaranteed! The last thing I always like to say is that “certified organic ingredients” do not make better products; they do not work better. And often the ingredients that are certified as being organic are not really natural but are made from inorganic chemicals mixed up in a lab! There is no chemist in the world who is able to verify or quantify what is a ‘natural organic’ or ‘non-natural organic’ chemical. So please use your own judgment on the products you buy. Do your own research and look to the long-time history of a company. Ask questions of them and see how they answer you. This is why for Paul Penders natural herbal cosmetics you will not see any so-called “certified organic” logos, simply because we are already producing wonderful cosmetics made from natural and organic materials. And we started making them long before Ecocert even existed — and Mr. Pearlman showed up with his fat checkbook. 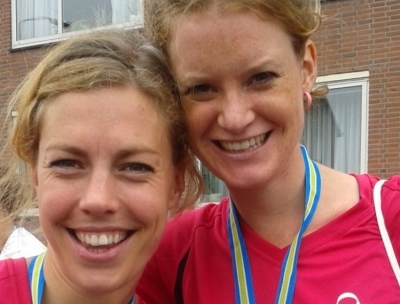 No less than 55.000 people joined Holland’s largest running event: de Dam tot Damloop I was one of them. With a special purpose: raising money and awareness for breast cancer. The ‘Dam tot Damloop’ takes place each September; this was the 29 edition. Holland’s largest running event and one of the largest in the world, it follows a 16-kilometer (10-mile) long trail from the dam in Amsterdam to the center of the suburban town of Zaandam. The route takes you through Amsterdam’s city center, and leads on through typical Dutch villages, passing rural farms and dykes along the way. Among the runners every year are world famous top athletes. Encouraged by 200,000 spectators and dozens of live music performances, the race organizers guarantee a unique atmosphere. to raise awareness about breast cancer. I chose to run for the charity, Pink Ribbon. Pink Ribbon has a great purpose: to raise awareness and funding for breast cancer research. Breast cancer affects 1 in 8 women, being the Number One cause of death for women aged 35 to 55. Each year 15.000 people are diagnosed with breast cancer in Holland of which 3,200 people do not survive. Pink Ribbon funds scientific research and provides financial support for breast cancer treatment research. Our team is proud to have raised 4000 euro for this charity. Fantastic to receive support from as far as Malaysia! Paul Penders Company kindly contributed to this achievement when Paul found out about our challenge. Thanks to his kind support, our initiative turned into such a success. A big thank you from our team and Pink Ribbon!